​At Trusted Space Partners, we often encounter significant place-based change efforts that are ineffective because they are not firmly rooted in strong networks of trusting relationships across race, cultural, income, positional power and geographic lines. Yet, in every community we are in, we meet residents who are eager to get involved and have creative ideas for improving the quality of life, but don’t feel comfortable engaging in local efforts or even asking their next door neighbor for a simple favor. The truth is in the midst of economic and technological changes in the world, locally, we need each other more than ever. Struggling people and communities today cannot succeed unless those “places” work well and this requires that there are real and robust networks of human beings who are able to reach across all the divisions and distinctions that fragment our neighborhoods. GENERATE more people to people relationships of trust. STEWARD an expanded network that breaks barriers and unleashes new resources. SHAPE a new narrative that inspires, moves and mobilizes even more diverse people. STIMULATE entrepreneurial spirit, action and self-organization. CONVENE new marketplace moments that uncover hidden resources. CULTIVATE better habits of engagement, problem solving and innovation. To learn more about these practices, see Resources, for both a list and several detailed tip sheets to consult. We are always on the search for ripe moments of opportunity to help spark new placed-based networks. We invite you to reach out and connect with us. 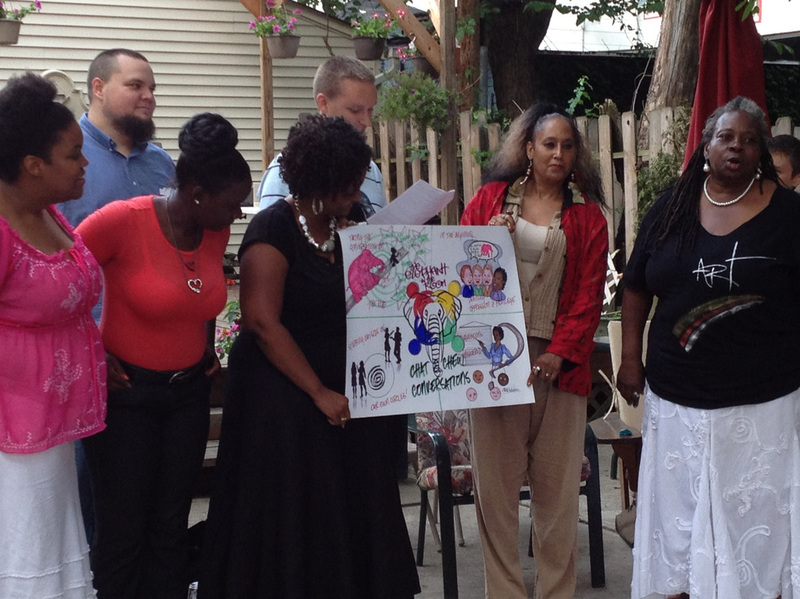 Union Capital Boston (UCB), based in Roxbury, Mass., has developed an unique way of building local networks for change. UCB has created a civic enrichment ‘rewards progam’ to help unite and reward community members for getting involved in four areas of personal enrichment and community engagement: education, health, finance and community. TSP began working with UCB in late 2016 to design weekly gathering spaces for their growing membership. Over the past 2 years, TSP has provided training and coaching to staff and member leaders in all aspects of planning and hosting safe trusted spaces for their members to connect. Today UCB hosts Network Nights twice a month in three different locations and in two languages: Jackson Square and Mattapan in English, and East Boston in Spanish. For UCB, Network Night is a time for members to connect in real time to exchange information and favors and to catalyze small action teams. See below a short video about UCB Network Nights. ​In 2014-2015, Trusted Space supported a team of educators, parents and students in building the Raise Up Network, a diverse group of over 1,000 people who love and want to support Birmingham’s students in achieving excellence. Five schools held bi-monthly network nights (see picture on top of page) and a team of 20 diverse connectors met monthly to map out expansion of the network. During summer of 2015, a cross boundary design team created and implemented a street outreach campaign to ask over 500 people: what is one thing you can do to help one student achieve excellence? Some of them are pictured here holding a "pump up circle" before heading out to talk with people in a local park. Below is a video explaining their use of the community building device we refer to as Network Night and link here are a photo essay which lays out the campaign process, step by step. 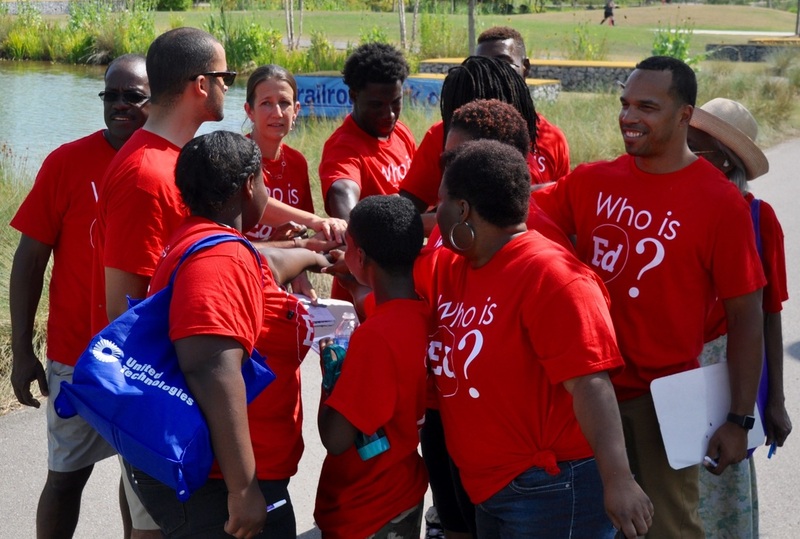 ​From 2011 to 2014, Trusted Space worked intensively with a team of funders and residents in seven struggling neighborhoods in east Cleveland to spark the Neighbor Up Network, which now boasts over 2,000 card carrying members working towards greater health and wealth equity across major lines of difference. Among other initiatives, Neighbor Up hosts a monthly network night, mutual support circles, skill share spaces and ad hoc design teams. This picture is of a design team convened in 2012 to build a new practice to support difficult conversations about race on a consistent basis.